If someone in your family has a food allergy, then you know how important it is to be careful—and creative—in the kitchen. Peanut allergies can be especially tricky to work around, since peanuts lurk in so many products. In addition, parents and kids alike sometimes crave the simplicity of a peanut butter sandwich for the school lunchbox. Fortunately, there are alternative spreads that can recreate the PB&J experience without the risk of a peanut allergy reaction. Here are some alternatives you can try. Keep in mind that these alternatives can also be great solutions for families who aren’t peanut-free but whose kids go to a nut-free school where peanut butter sandwiches are off the menu. Sunflower seed butter is surprisingly close in taste and texture to peanut butter. It is easy to spread on bread and goes great with jellies and jams. You can usually find it in the same section of the store as peanut butter, and the cost is generally in line with natural peanut butter varieties. 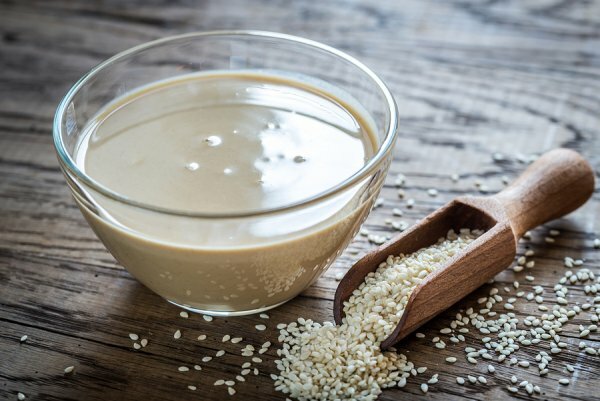 Tahini is a paste made of sesame seeds, so it has a nutty flavor. It is not sweet, so it is good for people who prefer unsweetened spreads or who want to pair it with a sweet jam or honey. It is also a good swap for peanut butter in many savory recipes, such as Asian recipes that use peanut butter as a base for sauces. For a sweet treat, cookie butter is a good stand-in for peanut butter. Although it lacks the nutritional value of the other spreads, it is great for spreading on toast or waffles and is a nice lunchtime surprise for kids when paired with some protein. Your allergy doctor can also be a good source of tips for food swaps to help you avoid allergy triggers. Get the care you need for peanut allergies at Allergy & Asthma Specialists SM . Our doctors in Blue Bell, Philadelphia, King of Prussia, Doylestown, Jenkintown, Lansdale, Pottsville, and Collegeville are ready to serve you. Visit our website or call 800-86-COUGH for an appointment.